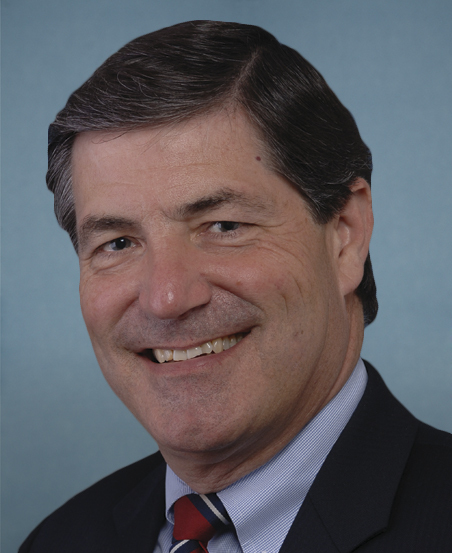 Info Congressman Jim Gerlach, a life long resident of the state of Pennsylvania was born on February 25, 1955 in Ellwood City located outside the city of Pittsburgh. Gerlach currently lives in Upper Uwchlan Township, Chester County, where he has resided for the past 15 years. He has three children, Katie, Jimmy and Robby. Gerlach is a 1977 graduate of Dickinson College in Carlisle, Pennsylvania, majoring in Political Science. He then continued to Dickinson Law School, receiving his JD in 1980. Gerlach has spent the past 12 years in public service representing the residents of Berks, Chester and Montgomery Counties located in the suburbs of Philadelphia. His public service career began in the Pennsylvania House of Representatives in 1990. After two terms he was elected to the Pennsylvania State Senate in 1994. During his eight years in the state Senate, Gerlach became an advocate for Pennsylvania taxpayers. Serving on the Pennsylvania IMPACT Commission and acting as Vice President of the PRIME Council he led efforts to pass initiatives which saved Pennsylvania taxpayers $500 million over the past five years. The environment also topped Gerlach's list of priorities, leading him to spearhead historic land use legislation promoting "smart growth" and successfully beginning the fight to reduce sprawl. Jim Gerlach was the prime sponsor of Act 35 in 1996, Pennsylvania's landmark welfare reform package. That legislation reduced the state's welfare rolls by over 120,000 cases and required able-bodied welfare recipients to undertake education and employment search activities, and public service in exchange for public assistance. With his election to the 108th Congress, Jim Gerlach will continue to champion the issues concerning Berks, Chester, and Montgomery Counties. Medical malpractice, prescription drug reform, the environment, and education will top the Congressman's agenda in the first year of his term.